Part 1 of 3 of my instructional DVD "Baby Beginner Doumbek." This part includes how to hold the doumbek, the "doum" and "tek" sounds. 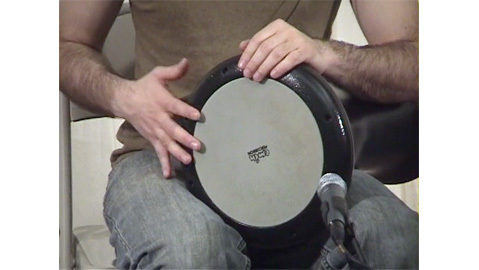 As well as playing the basic form of three rhythms: Maqsum, Baladi and Saidi. This was filmed live in New York City, the video is a lot of fun. Absolutely perfect for first-timers on the drum.